We Will Not repair this item. We are making room in our warehouse, so this gun is being sold as is with no returns. 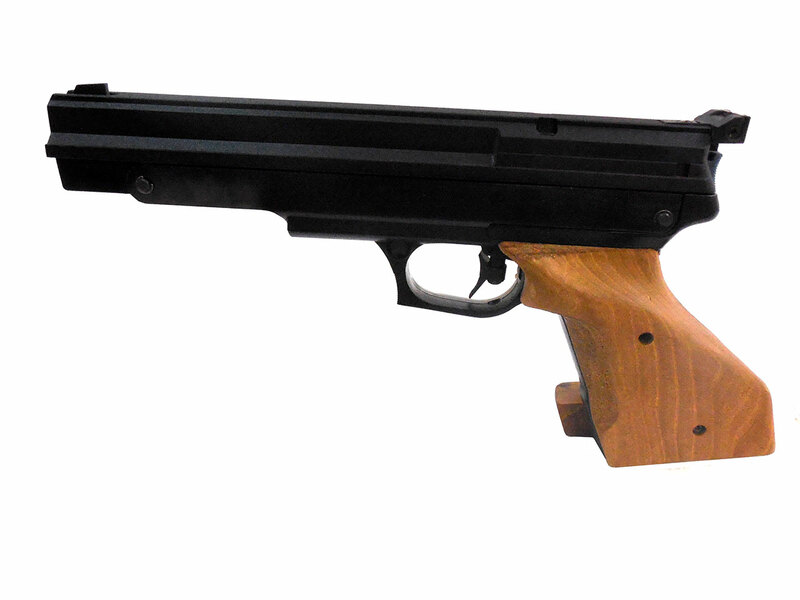 We tested the gun and it was shooting around 380 Fps at the time of the test. 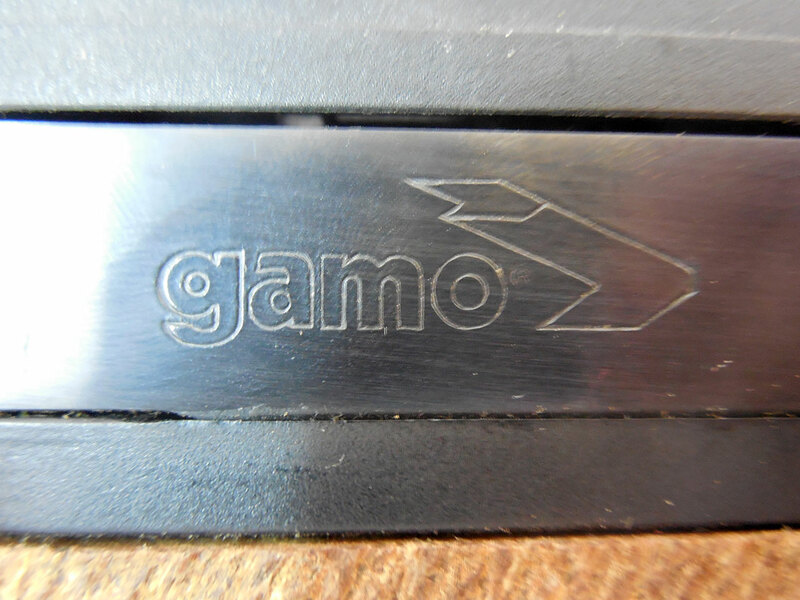 The Gamo Compact Target is a .177 caliber single-shot pistol. 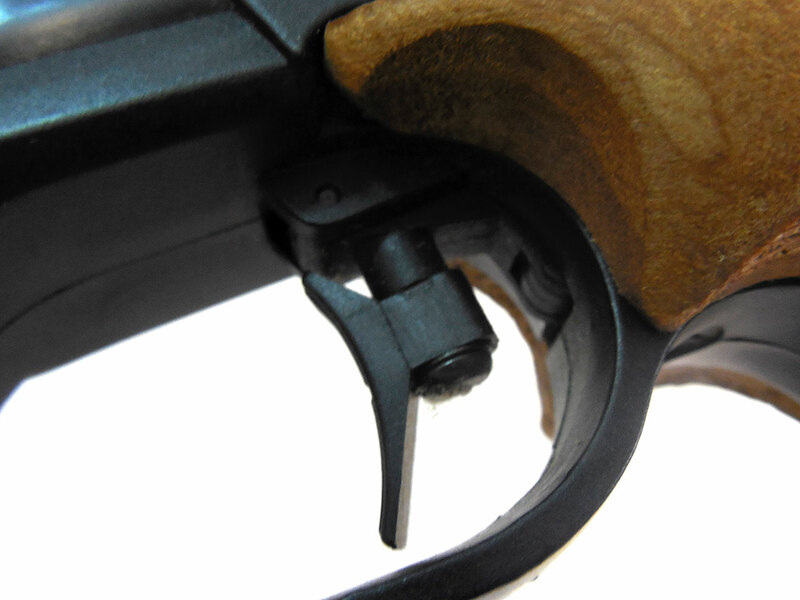 This gun is single-stroke pneumatic and fully adjustable match trigger and rear sight. 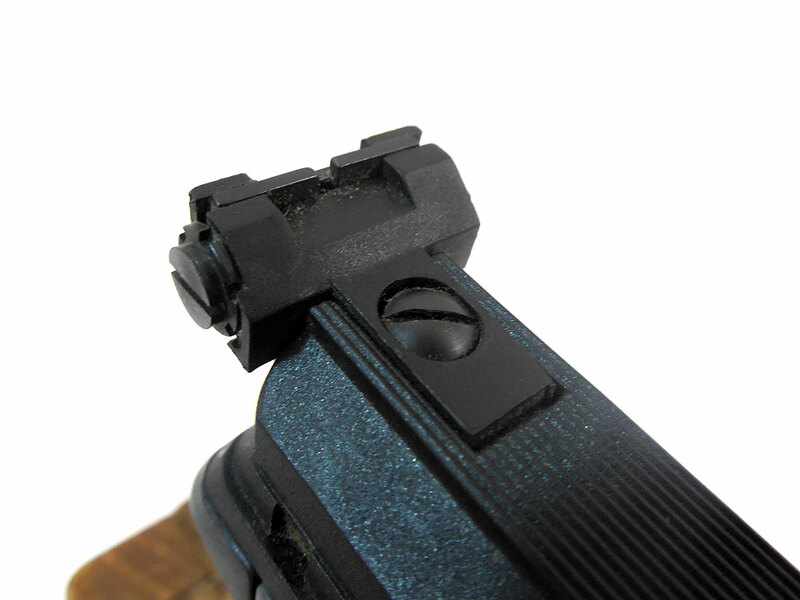 This Pistol also has an anatomical walnut grips with heavy stippling and an adjustable palm shelf. 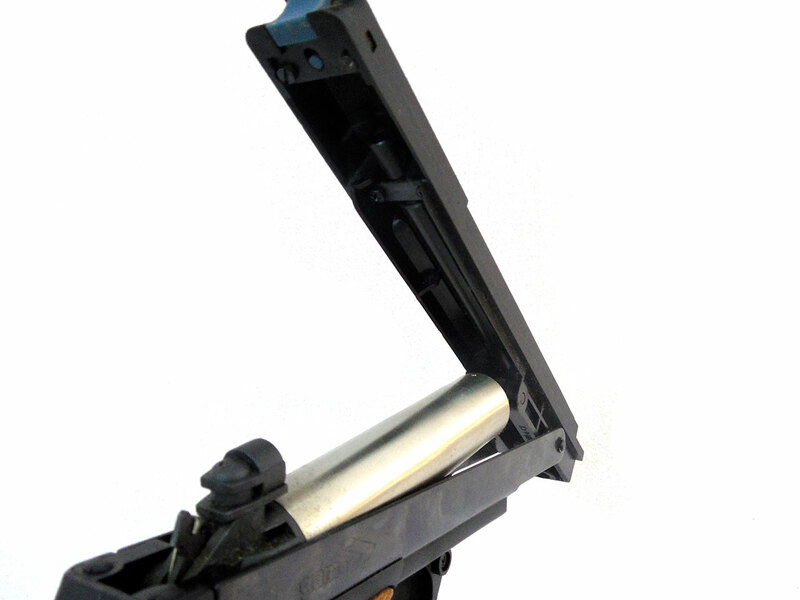 This gun has been shot and was measured at 380 Fps, but we cannot guarantee that this gun will continuously work, or that it has all of its original parts. 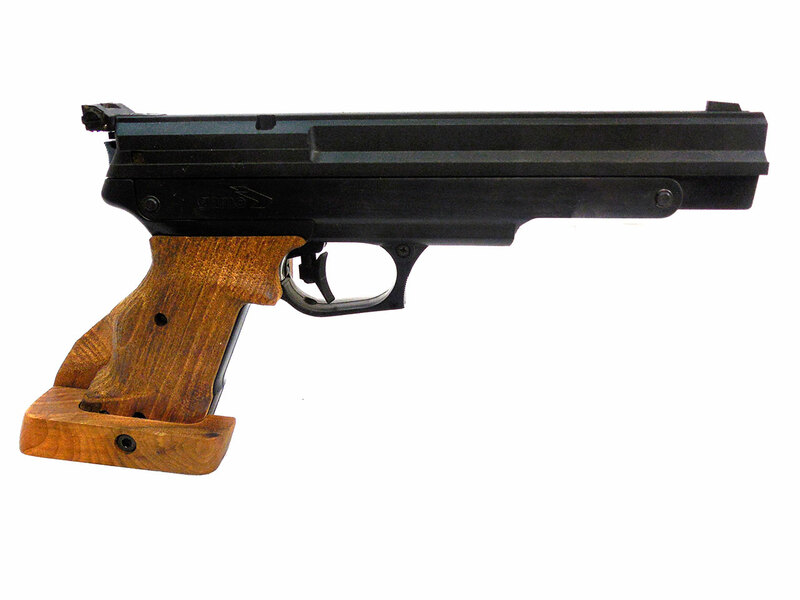 This gun has 100% of its original finish, and it wooden grips are in good condition.